Leadership is to do the right things on right time to get some pre-determined objective. The aim can be anything for which a good leader is needed who can motivate people to follow him. If you have the ability to inspire people by your thoughts and communications, then you can be a great leader. The way great leaders are made cannot be overlooked. You can also become a leader, just believe in yourself and find the right path. By being a great leader in life, you have to make people want to follow you. Here are some things that makes a leader great. A leader is one who knows about the way. He goes to that way and shows it to other. The leader has the art of communication to motivate and leads his team. Leadership is practiced in attitude and action, not in words. A leader can develop hope in an unsuccessful path to find some profitable. This great ability is present in every person; you need to remember and exercise it with more efforts. As a human, we can make a decision and choose our path to do something unique. All of us have the ability to make a difference between good and bad. We can attract someone with our powerful thoughts to follow us. All you need just to do actions to turn your dreams into reality. When you become a leader, doing the right thing is your responsibility. You must have trust in yourself to lead and motivate people. If you do not show your aim to people in a strong manner, no one will follow you. Leadership is essential in every part of life to turn your failure into success. You can change your dreams into reality. All you need to focus on your goal and motivate the team to achieve the goal by showing a right path. 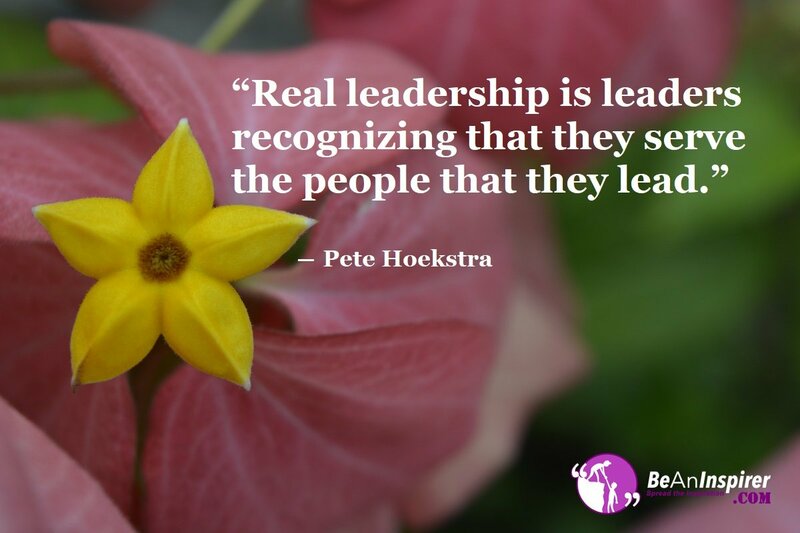 Are You Ready To Lead People To Do Right Things? Every person has the virtue of leading people. Just follow your inner voice and show the right path to people toward achieving the dream. A leader can motivate people through their strong communication and powerful thoughts. Do you agree that being a great leader in life can help fulfill your dreams? What to do to become a good leader? Let us know in the comment box below.